The Maritim Hotel Berlin as a conference hotel offers 48 conference rooms on totally 5500 m² for 3225 persons in the largest room. 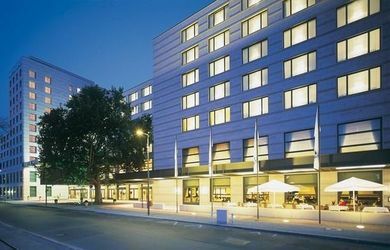 The conference hotel has 505 rooms and is located in Berlin between Ku´Damm and Brandenburger Tor. The Maritim proArte Hotel Berlin as a conference venue offers 13 conference rooms on 2859m² for 1600 persons in the largest room. 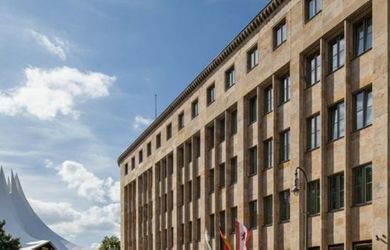 The conference hotel has 403 rooms and is located at the Friedrichstrasse in Berlin. 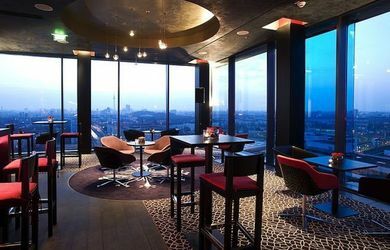 The Crowne Plaza Berlin - Potsdamer Platz offers 8 function rooms on a total of 550qm / 220 people in the largest room. The hotel is located in Berlin - close to the Potsdamer Platz. 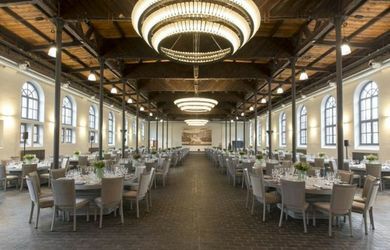 30 conference rooms for 2.500 people / 950 people in the largest room The andel's Hotel Berlin offers as a conference venue 30 conference rooms with 3.800qm and up to 950 people in the largest room. The conference hotel has 557 rooms and is located in Berlin-Lichtenberg. 15 conference rooms for 2000 people / 400 people in the largest room The Hotel Adlon Kempinski Berlin offers as a conference venue 15 conference rooms with 2450m² and up to 400 people in the largest room. 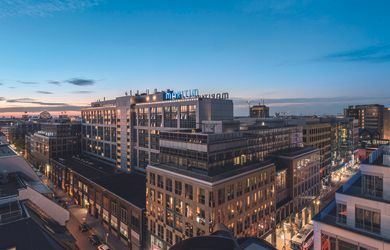 The conference hotel has 382 rooms and is located in Berlin at the Brandenburger Gate. 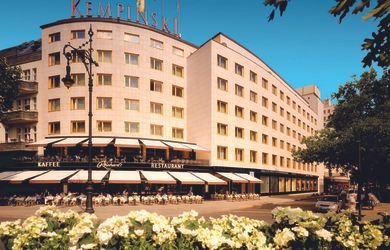 The Kempinski Hotel Bristol Berlin offers as a conference venue 10 conference rooms with 1200m² and up to 300 people in the largest room. 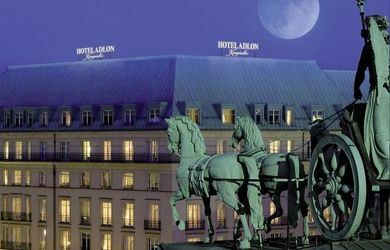 The conference hotel has 301 rooms and is located in Berlin at theKurfürstendamm. The BOLLE party halls, as an event locationl, offers 7 event rooms, altogether 3000qm, for 800 people in the largest room. The event venue is situated in the centrum of Berlin.